Which leaves me wondering why I pursue Tiki drinks. Why do I put up with Tiki’s annoying, labor-intensive complexity? Of course, it’s mostly because these drinks taste great, and they’re interesting. Great enough and interesting enough to overcome the annoyances of making them. Some are just mildly complex, an easy jump from, say, your everyday Daiquiri. An extra rum in the mix, or falernum instead of simple syrup, and you’re good to go. But some require real planning and effort. Which brings us to Pearl Diver’s Punch, the most complicated drink I’ve ever made. It’s also one of the lushest, most delicious rum formulas I’ve ever had the pleasure of drinking. But it requires planning, and patience in its construction. It’s sort of like making a complex, delicious dessert. It is quintessential Tiki: it’s fun to drink, it has unusual and exotic flavors, it has a list of ingredients as long as your arm, and it’s labor intensive. And for this one, you definitely plan ahead. 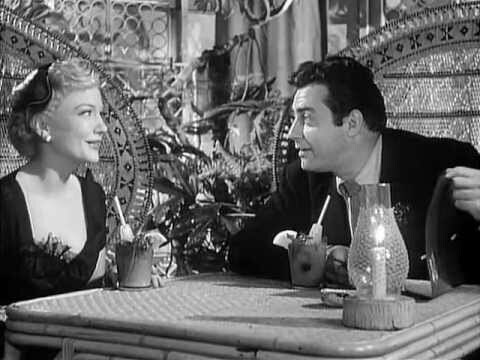 I hadn’t paid much attention to Pearl Diver’s Punch until last Fall, when a Cold Glass reader asked if I had tasted it. I had read the recipe, yes; tasted it, no—the formula is long and involved, as you will see, and I had never really found the motivation to whip one up. So many cocktails, so little time. But the more I looked into it, the more intrigued I became. Buttered tiki: the very idea was strange and unique in my experience, and it nagged at me. Finally, hot weather returned to Minnesota, genuine tropical drink weather, and I couldn’t resist anymore. Labor-intensive or not, it was time for Pearl Diver’s Punch. 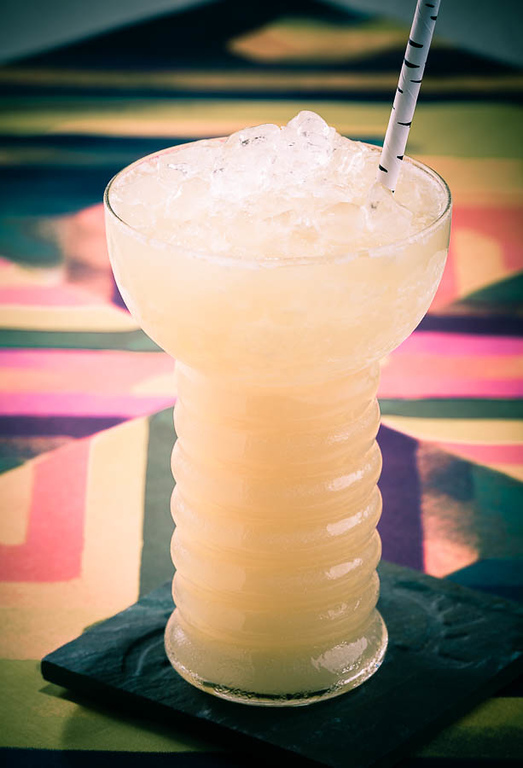 Pearl Diver’s Punch is a Don the Beachcomber creation from the late 1930s. The syrups, multiple juices, and multiple rums are Beachcomber hallmarks, and this one is one shows him at his strange, syrupy, rum-blending best. Put everything into a blender, Pearl Diver’s Mix first, ice last. Blend at high speed for 20 seconds. Strain through a fine-mesh wire sieve into a Pilsner glass or Pearl Diver glass, pressing gently on solids to release all liquid into the glass. (Discard solids.) Add crushed ice to fill. So let’s talk about Pearl Diver’s Mix. First of all, we find the astonishing butter. It’s the source of the lush heaviness, the smooth mouthfeel of this drink, and it presents a flavor and odor that is rare in any style of cocktailing. You’ll want to use clarified butter; dairy solids can be unattractive on the sides of your punch glass. Beach’s original recipe called for orange blossom honey; that may have made a lot of sense to him in California, but here in Minnesota, we have mostly clover and prairie wildflower honey, and that works just fine. It’s easy to make vanilla and cinnamon syrups, but you can often just buy them if you have a well-stocked grocery or kitchen store. When you whisk all this together, you end up with a mix about the consistency of mayonnaise. 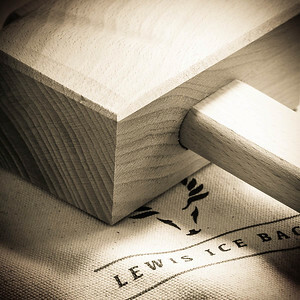 You can store it for quite awhile in the refrigerator, but you’ll want it at a nice, soft room temperature for use. As for mixing the drink itself, you’ll need both an ice crusher and a blender. 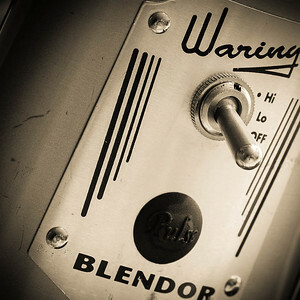 The twenty seconds of blending recommended in the original instructions seems just about right for my Waring blender (or “Blendor,” as Waring would have it), but that may need adjustment for other brands. Pour from the blender through a moderate sieve to hold back the frozen, buttery froth. Top up with more crushed ice, and serve with a straw. The Garnish is a bit of a mystery. I’ve only seen a couple drawings of the original Pearl Diver’s Punch presentation, and they show some sort of pointed leaf pierced by the straw. I’ve seen speculation about what leaf that might be, but no definitive identification. I serve it with no garnish at all, just the straw, but I would think that any nice-looking, non-toxic leaf might be a good candidate if you want to tart up the drink a bit. The flavor is all about butter and rum. The spices and fruit are certainly there, but they play a supporting role. Pearl Diver’s Punch doesn’t come across as a sour, but as a fruity rum drink. The balance is delicate, especially with so much citrus in the mix, but the butter seems to protect the palate from the sour attributes of the hefty dose of juice, and it seems to soften and blend the rums’ attributes, too. According to Jeff Berry, Don the Beachcomber opened his Waikiki bar in 1947 with a slightly smaller version of Pearl Diver’s Punch called the Pearl Diver. Berry refers to it as a “stripped-down version,” but it merely cut out the Jamaican rum and substituted Angostura bitters for the falernum, so it wasn’t really much simpler to make overall, it just had less rum in it. I’m guessing the change was all about profit margins, but who knows? Blend and serve the same way as Pearl Diver’s Punch: Put everything into a blender, Pearl Diver’s Mix first, ice last. Blend at high speed for 20 seconds. Strain through a fine-mesh wire sieve into a Pilsner glass or Pearl Diver glass, pressing gently on solids to release all liquid into the glass. (Discard solids.) Add crushed ice to fill. And maybe it goes a long way to explaining why every once in a while I cast minimalism aside, lay in extra fruit, make a batch of spiced syrups, line up all my rums in a row, crush a lot of ice, and start mixing tiki. “Extra effort, extra reward: the Pearl Diver’s Punch” at cold-glass.com : All text and photos © 2015 Douglas M. Ford. All rights reserved. love tiki drinks. Since I do very much like hot buttered rum, this looks like a great cool version of that. I wonder if the leaf was a pandan leaf? It’s anybody’s guess. The pictures and descriptions I’ve seen suggest that the leaf was spade- or heart-shaped, but that’s about all I know about it. I’ve also seen speculation that the leaf might have been a Galax leaf, but its native range doesn’t seem to coincide with Don the Beachcomber’s. I’ve never seen either plant. When Pearl Diver’s Punch is topped up with crushed ice, there is hardly any nose; this would be s fine addition to the drink. Thanks! Wow, this sounds like it would be delicious. I will give this a try tomorrow! I vote for garnishing it like they did in the Blue Gardenia! Great read and nicely explained, some of these recipes are long forgotten (oh school, now I envy not paying attention :) ). I dropped you a follow cause this is very interesting ! I hope I can interest you with my blog as well it’s about wines (wonderfultasting.com). First of all I have to say this is a wonderful site -a pleasure to read and get updates from. Doug I’m really stunned you didn’t seem to have trouble making this drink! I’ve made it 7 or 8 times but only got it ‘right’ on a couple of those occasions – and this using the same ingredients/ methods each time. PS was the leaf a Gerenium – the Skin Diver uses one of these as garnish. Well… in fact, there were a few preliminary runs to get the formula tuned up and the technique settled down. Geranium, I’ll go with that. And it’s convenient that the garden is full of them in the summer. Thanks! I’m definitely serving this for 4th of July. I just bought a great locally made bottle of rum. What a fine idea. And I’ve always liked the idea of local spirits. Have a great holiday. I’m currently clarifying butter to make the Pearl Diver’s Mix. I had this cocktail on my to-do list for quite a while, but shied before the effort you have to put into it. Your article convinced me that it’s worth the try! Yeah, it’s not like you’d go to the trouble to make this every day, but it would be a shame to miss out on it, too. I’m thinking I’ll do up a batch of butter and make this my tiki treat for this weekend. Have fun! Several species of lime seem to fit the bill. Also I love you Doug keep up the posts! Thank you, and yes, I certainly will.